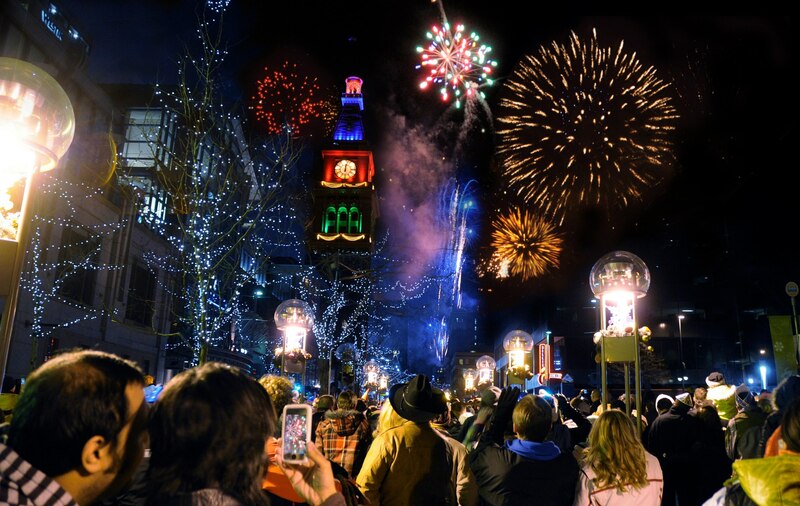 The sky will once again sparkle over the 16th Street Mall at the close of 2013 with the New Year’s Eve Fireworks Downtown. The two spectacular fireworks shows will occur at 9 p.m. and midnight. For the best viewpoints, stand along the 16th Street Mall. Costumed entertainers will interact with crowds between shows, including magicians, mascots, balloon artists, stilt walkers, comedians and more. Best of all, it’s not going to be that cold; the evening will be 35-45 degrees and clear. It’s very crowded down there, I recommend taking the Light Rail. Of Course FIRST FRIDAY will be alive and well on January 3rd at all your favorite Denver Arts Districts. So pack a nice lunch and go get your Culture on in January, for FREE! This entry was posted in Denver, lifestyle and tagged 16th Street Mall, art district, art walk, bargain hunting, budget, Clyfford Still Museum, Denver, denver art, Denver Art Districts, denver art museum, denver art walk, Denver Arts Districts, denver botanic gardens, denver fireworks, denver first friday, denver free events, denver free January, Denver museum of Nature and Science, Denver saving, denver zoo, January. denver free 2014, saving. Bookmark the permalink. ← Wishing you and yours the most Fabulous Holiday Ever, and a Joyous & Prosperous New Year.